New Delhi, May 11 (UNI) Congress President Sonia Gandhi today profusely thanked her electorate in Rae Bareli for having re-elected her to the Lok Sabha,describing it as as a victory of the democracy and of values. "I want to thank the people of Rae Bareli who have once again reposed faith in me," she told reporters at her residence at 10, Janpath, adding "I shall live upto the faith reposed in me." 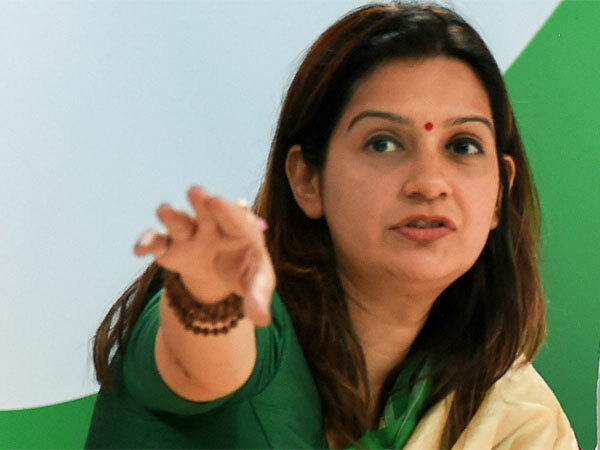 "It was due to the hard work done by Mr Rahul Gandhi and the team of Congress that the victory could be possible," she said and thanked them all. Mrs Gandhi, who resigned as the MP and Chairperson of the NAC following the Office of Profit controversy and registerd a convincing win from Rae Bareli again, expressed her satisfaction with the poll results in Asom, Tamil Nadu and Pondicherry and said the prophets of doom in the media had been proved wrong. "We will form a government in Asom and Pondicherry. The victory of the DMK alliance in Tamil Nadu is something to be happy about." She conceded that the poll results in Kerala were disapointing and so were in West Bengal for the party. However, she said, "victory and defeat are common in politics." On a pointed question on Mr Ajit Jogi launching a signature campaign demanding her to become the Prime Minister, Mrs Gandhi shot back saying she had never approved of it. "It (demand) is totally wrong and this can not be approved of in in the party." Eds: Here pick up suitalbly from earlier series.